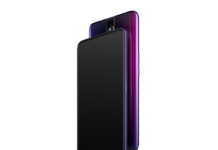 Today in an event held at New Delhi, Lava Mobile has announced a new smartphone, the Lava Icon which will be available exclusively on Snapdeal starting Thursday itself and the first 500 people who orders this, Lava Icon smartphone on Snapdeal will get a free selfie-stick along with the smartphone, it comes with a premium metallic look and the Icon is only 7.7 mm thick, Lava Icon carries a price tag of Rs. 11,990. If we talk about specs then, the Lava Icon comes with a 5-inch HD (720×1280 pixels) IPS display screen which is protected by Asahi Dragontrail glass protection, under the hood it is powered by a 1.3 GHz Quad Core processor along with ARM Mali-400 MP2 GPU and 2GB of RAM, it also includes 16GB of internal storage which can be further expandable up to 32GB via microSD card. 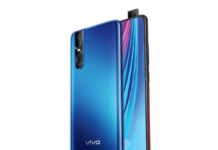 As per the photographic front Lava Icon comes with 13-megapixel camera with dual-LED flash, SONY EXMOR sensor with 5P lens and a blue glass filter with the f2.0 aperture in rear camera lens, company has said it is capable to capture 27% more light under low light conditions, it also comes with 5MP front facing camera with F2.4 aperture. For connectivity it has 3G, GPRS/ EDGE, GPS/ A-GPS, FM radio, Wi-Fi, Micro-USB, and Bluetooth options, it houses a 2500mAh battery, which according to company can deliver up to 20 hours of talk time on 2G and 9 hours of talk time on 3G networks.